Proposals to give care home managers a significant role in relation to applying the Liberty Protection Safeguards (LPS) – the scheme that would replace the DoLS – in their homes have been scaled back. Other changes to the Mental Capacity (Amendment) Bill would see the LPS extended to cover 16- and 17-year-olds, not just those over 18, and requirements inserted to ensure assessments were carried out by people of sufficient knowledge and experience. The person at risk of deprivation must also be consulted in every case under a raft of changes made to the bill. 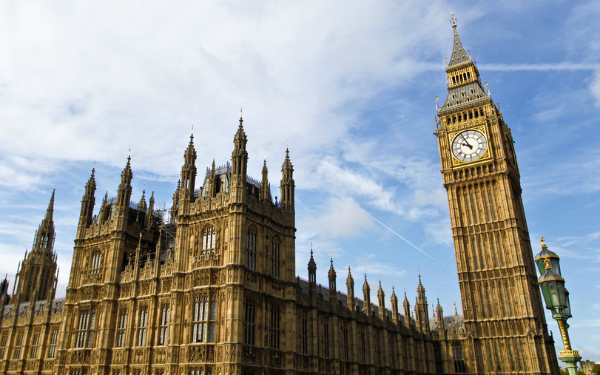 The amendments will be debated tomorrow (Wednesday) when the Mental Capacity (Amendment) Bill reaches its penultimate stage in the House of Lords, the report stage. They are expected to be accepted by the House of Lords. One of the most controversial aspects of the bill has been the role given to care home managers. Under the bill as it currently stands, managers would be responsible for arranging assessments to determine whether the three conditions for a deprivation of liberty had been met: that the person lacks capacity to consent to arrangements that would involve a deprivation of liberty and is of ‘unsound mind’, and that the arrangements were necessary and proportionate. They would also be charged with providing a statement to the relevant local authority (as the “responsible body”), confirming that the three conditions were met, whether the person was objecting to the arrangements, consultation with named people close to the person had taken place and whether an independent mental capacity advocate (IMCA) should be appointed. On the basis of the statement, the local authority would then decide whether to sign off on the deprivation of liberty request or not. Peers and social care professionals had expressed doubt over these arrangements, asking whether care home managers possessed the skills and knowledge to carry out a role similar to that performed by a best interests assessor on behalf of the responsible local authority under DoLS. It was also questioned why these roles would not be carried out by the responsible local authorities, as had been proposed by the Law Commission in its recommendations on which the bill is based. In response, a government amendment would give responsible local authorities the option of giving these roles to the care home manager or undertaking the responsibilities themselves in each case. The care home manager would also no longer be responsible for notifying the responsible body whether or not an IMCA should be appointed in any case. In another amendment tabled by the government, care home managers would not be able to commission anyone with a prescribed connection to the care home to carry out assessments to determine if the conditions for a deprivation of liberty authorisation are met. While the nature of the connection will be set out in regulations this is designed to prevent the assessor being insufficiently independent from the home. This responds to criticisms from peers and professionals that managers would have a conflict of interest between their priority to ensure the smooth running and financial health of the home, and their responsibilities under LPS, which may require decisions that would see a resident placed elsewhere or subject the home to greater scrutiny. In addition to the significant changes around care home arrangements, the government has tabled an amendment to extend LPS to apply to 16 and 17-year olds, not just those over 18. This would bring LPS back into line with the Law Commission’s original recommendations. Another government amendment would require that the person who would be deprived of their liberty (“the cared-for person”) must be consulted about care arrangements to determine their wishes and feelings about them. As the bill stands there is an explicit requirement for the responsible body or care home to consult carers, deputies, attorneys, advocates, anyone nominated by the person as a consultee and anyone interested in the person’s welfare, about care arrangements, but not the cared-for person. The government had argued the cared-for person would have been included under the ‘anyone interested in the person’s welfare’ category, but that did not allay peers’ concerns. A related government amendment would ensure that assessors take account of the cared-for person’s wishes and feelings in relation to the arrangements when determining whether they are necessary and proportionate. Further amendments would remove the much-criticised term “is of unsound mind” from the legislation as one of the three conditions for a deprivation of liberty. This would be replaced with “has a mental disorder”, in line with the Mental Health Act 1983. Despite the government insisting it had used the term “unsound mind” to bring LPS in line with Article 5 of the European Convention on Human Rights, on which all deprivation of liberty law is based, it has responded to criticism that the term is outdated and stigmatising in making the change. Under a further government amendment, responsible bodies or care homes would be required to ensure that people who assess capacity or whether the person has a mental disorder under the LPS had appropriate experience and knowledge. Such a requirement already applies in respect of people undertaking the necessary and proportionate assessment. The Government appears to b listening to some of the concerns raised but the table of amendments is very complex and it’s far from clear what will emerge in the final version. The quality of debate in the Lords has been very high but this has not yet been to the Commons. With MPs distracted on other matters, it is important to keep up the pressure to ensure that badly structured legislation does creep through on whipped votes. Good. But skint local authorities won’t be able to complain about how they aren’t getting any funds to do the job properly, if they can always opt out? Great. Who’s going to pay for this? Also; how are CQC going to inspect care homes struggling to deal with this? The Health & Social Care Act regulations aren’t changing, the regulator’s methodology isn’t changing, so will care homes have their CQC ratings drop when the inspector pitches up and sees lots of people suddenly unlawfully deprived of their liberty? I cannot see how, given the Regulations are law, an inspector will be able to bend on that even if they wanted to? What about patients in hospitals? The potential Conflict in interest argument also applies in these settings. It’s completely unrealistic to think that responsible local authorities (and CCGs) could opt whether or not to give the role of arranging assessments to care home managers “in each case”. Some authorities have over 700 homes, and there are 125,000 cases in the backlog, so they will need blanket policies so that everyone knows in advance which route a particular case must go down. And if homes have to commission assessments from outsiders, their costs will have to be reimbursed, otherwise there will be no incentive for them to do it given that the responsible body will have to step in if they don’t. And in reply to Paul, yes, exactly the same issue of conflict of interest on financial grounds applies to private hospitals, including Winterbourne View-type assessment and treatment units for people with learning disabilities, but this has been overlooked so far as the focus has been entirely on care homes.